Uniform Solutions for You, a top-rated employee uniform supplier , is proud to announce the launch of their Pinterest page. Pinterest is an ideal fit for the company, as its unique concept in the industry is to help employers generate great ideas for employee uniforms online and with the help of idea consultants. 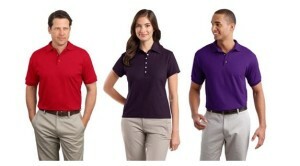 To browse the Pinterest page and view our employee uniform interests, please visit our boards. Individual Pinterest boards cover topics such as casino employee uniforms, restaurant employee uniforms, and hotel uniform ideas as well as a cornucopia of visual brainstorms to help busy employers select uniforms. Uniform Solutions believes that one’s employee image projects a great deal about an organization and its reputation. It has a unique concept in the industry: the idea consultant. Companies that are seeking employee uniform suppliers are able to reach out to an idea consultant, and work with them to brainstorm unique ideas for uniforms. Pinterest fits well with this concept, as Pinterest allows for visual ‘idea boards’ on uniforms by category. For example, there is a board on Casino ideas on the website to look over. There, interested parties can browse, pin, and repin their own favorite casino uniforms, thereby building a set of ideas for casino employee uniforms in a socially collaborative fashion.